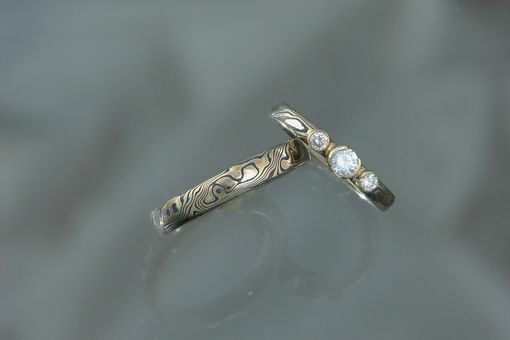 18k yellow gold layered with sterling silver mokume gane wedding set. Have a set made for you! Use your own stones if you want.